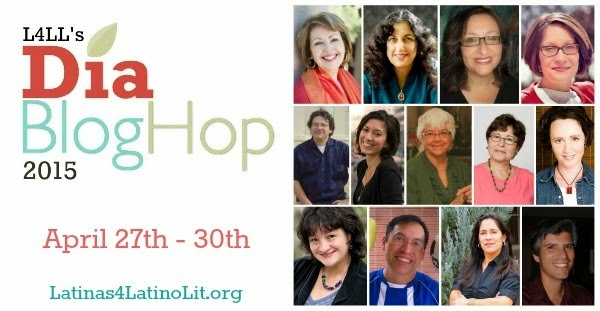 This year 12 U.S. Hispanic authors and illustrators will write about immersion on leading Latina blogs. The L4LL 2015 Día Blog Hop started on Monday, April 27th and it will continue all this week. You can click on the links to read Monday, Tuesday and Today’s articles. Each day, three Latina blogs feature a different Latino author/illustrator as these artists explore this year’s theme of immersion and its impact on their work and life. Below is the schedule of the participating blogs! Times Book Fest. NaPoMo On-line Floricanto. WordFest. Big Read. Northside. REFORMA. Pancho. Chicanonautica: The Mirror is Smoking . . . The real Superhero. And Caravana 43 in Colo.